Welcome, Kristen King! 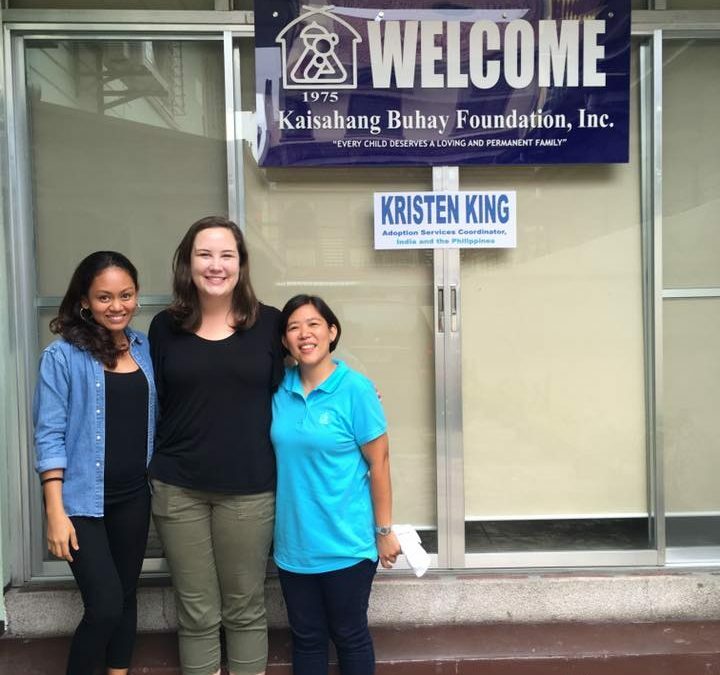 | Kaisahang Buhay Foundation, Inc.
KBF welcomes Kristen King, Holt International’s Adoption Coordinator (India & Philippines). Kristen visited 3 child caring agencies in which Holt has sponsored children. 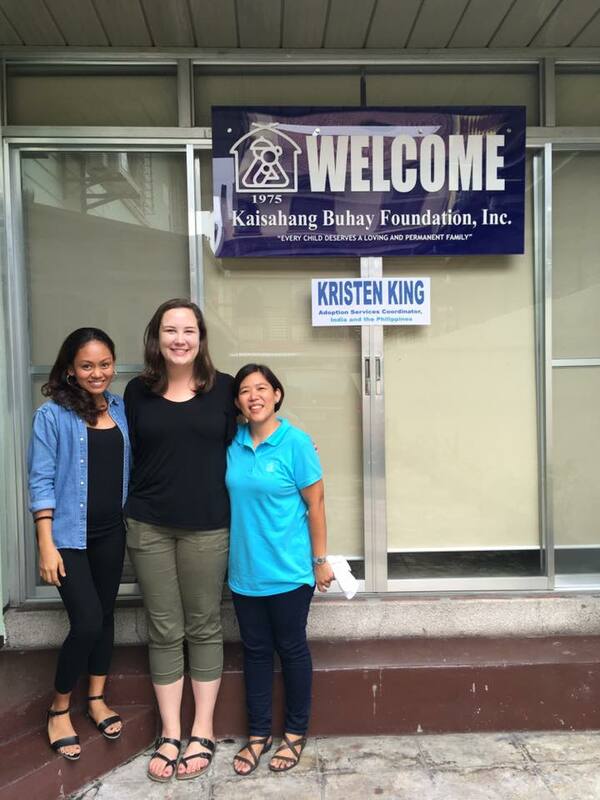 She was accompanied by Eva Cubacub (right), KBF Social Worker for US Adoptions and Carissa Moran (left), KBF Marketing & Communications Staff. My name is Marisol Sherer, my husband is Michael Sherer. Michael is Pilipino, he born in Olongapo city and he was adopted 35 years ago. We are a happy and healthy couple, we have been married for over 5 years and we will like to adopt. If you could provide me any information that would be greatly appreciated. Also, I will be traveling to Manila at the end of Nov for work and will love to ask if I can visit. Is Ms. Kristen King still the Holt coordinator?